In November, we had a post about Badamsinh Juwansinh Gurjar and his World’s Longest mustache. Today I’m terrified to tell you that someone has broken this record. 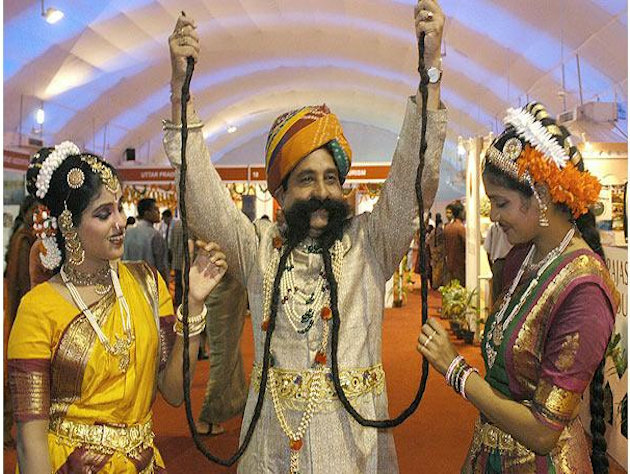 Ram Singh Chauhan of India has the world’s longest mustache, 14 feet, according to the Guinness Book of World Records. This entry was posted in Out of Control Steesh and tagged Humor, mustache, World record on May 18, 2012 by Los Bulls.